Building a successful business oftentimes comes with growing pains. With teams to manage, projects to oversee, and an endless parade of people asking questions and needing answers – it’s easy to let things fall between the cracks. I’ve seen first hand the horror that is waiting until a business has multiple locations, hundreds of staff, and absolutely no idea how many variations of their logo, tagline, and messaging are floating around throughout all their vendor relationships. By investing in a style guide while you’re still scaling your business, you are investing in creating a process in which you can easily onboard members of your team seamlessly. Once upon a time I worked at a hospital as the creative director. No one had been active in the position for a year by the time I took over the role. Not only had the role been abandoned, but most of the branding guidelines had been thrown out the window. Every email I received from a coworker included a different variation of the logo and some had an older iteration of the tagline. Depending on who did the letterheads, it was Russian Roulette with the final product. Not only was internal communication confusing and inconsistent – our outside vendors constantly were emailing us to confirm what we had sent over was the updated version while others printed what they had – meaning we had spent hundreds of dollars on advertising that contained our old logo and old tagline. Our vendors constantly asked us about what was current. If our vendors were confused about our consistency – how do you think our customers and the community felt towards us? Our inconsistency and lack of communication and direction meant that we were throwing money into the wind. Brand standards are simply the rules and guidelines of your brand. Included in the standards should be: mission, vision, target audience, message, tone, logo variations, do’s and don’ts for the variations, color and typography usages and hierarchy, as well as sign and banner requirements (sizing, formats, spacing, and line-height). These standards are meant to provide consistency throughout your business in a facets. Regardless of how someone interacts with your business, they should have the same experience and know they are dealing with your brand. When your business is just starting out, it’s easy to just make graphics and content on the spot and push it out to your social media and website. In the hustle and bustle of running your business, making sure colors, fonts, messaging, and tone are on-point can often be pushed to the sideline. Imagine hiring employees and everyone treating your brand in the same manner. Every single piece of content will have a different voice and tone and ultimately it will give your current and potential customers different experiences. This creates uncertainty and subconsciously the customer may not feel as though they can trust your business. The advantages of creating brand standards for your business (and sticking to them) is that you create consistency, which breeds trust. Customers want to know what to expect when they interact with your brand. When you meet and exceed their expectations, you continue to build up the relationship with them. Having your brand standards in place also makes it easier to bring on new employees and get them up to speed on your company. It’s your job to make sure they understand what your business provides, who your market is, and how you want others to feel about your business. Having these standards allows your employees to see what rules are in place, examples of how to use visual elements, and overall, get a sense of how the brand will look and feel. These guidelines allow everyone to create content, interact with customers, vendors, and potential partner’s while sounding like one person. It wouldn’t make any sense to have these standards written on Post-It notes around the office. The standards need to be in place everyone has access to but cannot edit. 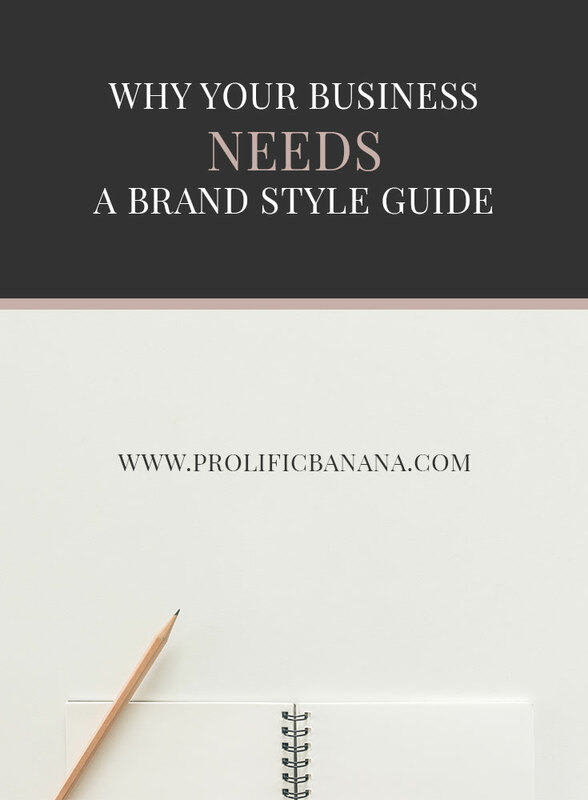 Branding experts typically create what they call a “Style Guide”, which is usually a multi-page document that houses all of the information needed. The working file may be included in this, depending on the designer, as well as a PDF that can be printed off or shared with employees digitally. Some businesses go as far as to print their standards out. Every business is different and has different needs, so there is no standard size. As a business grows and changes, edits will need to be made to the guide. If the business grows to a point where there are offices in multiple locations, there may need to be sub-standards for a particular department or location. The fewer people who have access to the working file, the better You don’t want employees going in and making changes on accident – as this will create inconsistency and defeat the purpose of establishing brand standards throughout the company.